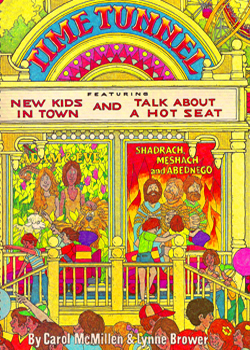 Time Tunnel consists of two musicals in one - "Talk About a Hot Seat" and "New Kids in Town." These can be presented in one performance or either one could be presented as a standalone program. We promise you a ride that you won't soon forget. All aboard!!! "Talk About a Hot Seat - Opener"
"Talk About a Hot Seat"
"Talk About a Hot Seat Finale"
"New Kids in Town - Opener"